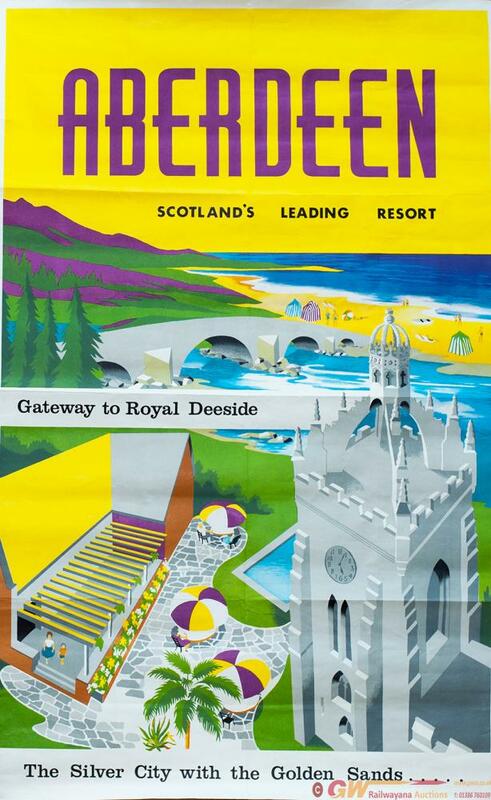 Poster ABERDEEN SCOTLAND'S LEADING RESORT THE SILVER CITY WITH THE GOLDEN SAND. Double Royal 25in x 40in. In good condition with folds.